Melt 2TBS ghee and add the garlic. 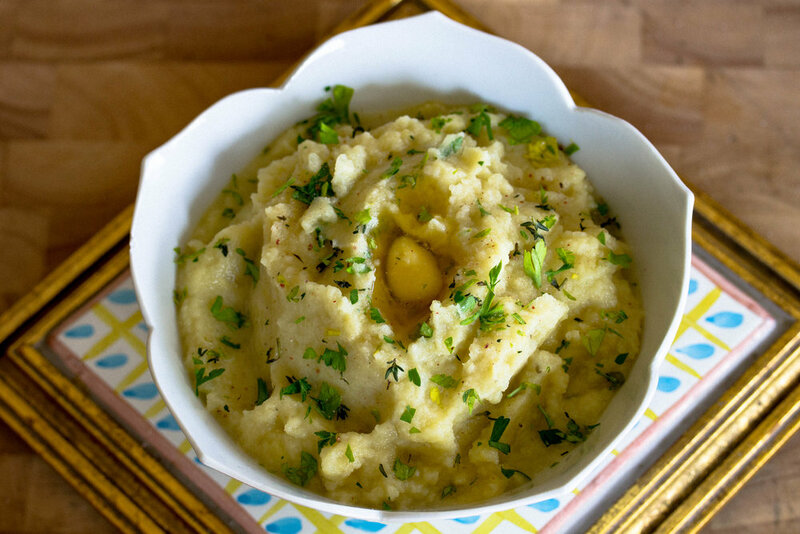 After about 1-2 minutes, add the cauliflower, rutabaga, and sea salt and combine well with garlic and ghee. Reduce to simmer and allow to cook until vegetables are soft, about 25-30 minutes, stirring every so often. Once softened, remove from heat and allow to cool for a few minutes. With a hand mixer, blend vegetables until smooth. Serve topped with an extra TBS of ghee and chopped thyme and parsley.